…Traveling back to Houston last night was enough in itself — I returned home on the Greyhound bus from the Texas Library Conference in San Antonio, Texas. I listened to music the entire time on the bus. 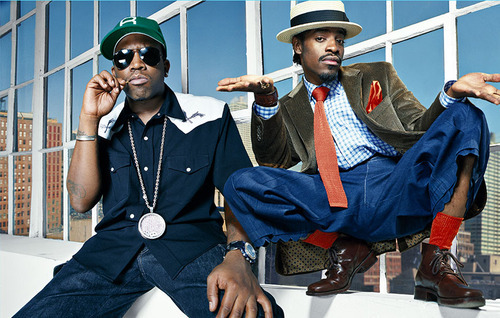 And, my favorite hip-hop group was in my digital discography: Outkast! I was aware that they were going to headline Coachella this year. However, I didn’t know the concert series was airing on YouTube for FREE. I’m definitely glad that I stumbled upon a message in my Twitter feed last night about the news. I stayed up to 4 AM watching this ish. I remember when this group came on the scene; their swag was undeniable. They were/are real cool players, real cool. Outkast formed their union in 1992, and debuted one of the best albums in hip-hop history, Southernplayalisticadillacmuzik (1994). Their style of music is all over the map and has no category: It is that good! I bobbed my head to tracks from all of their albums (Janelle Monae & Future – performed on stage). It was magical and fascinating to witness their grandiose presence on stage. I decided to tune out the crowd and opinions of this performance. I will never forget this moment in history!